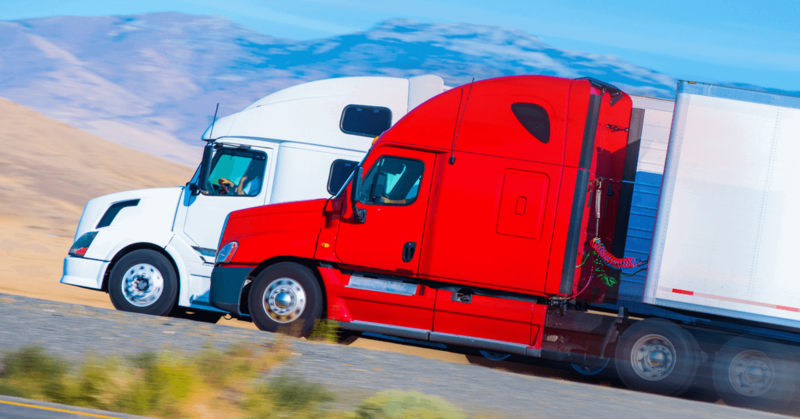 As the only law firm handling truck accidents in Michigan, our lawyers want all Michigan drivers to know how dangerous bad trucks, unfit drivers, and rogue trucking companies have become. As of April 2009, there are now 1,072 Michigan trucking companies with less-than-satisfactory safety ratings, according to the Federal Motor Carrier Safety Administration (FMCSA). This means that about one in three trucks on Michigan roads currently have defective brakes, bad tires, loads that dangerously exceed weight limitations, and unfit drivers with little or no safety training. And the shocking numbers of out-of-service and poorly maintained trucks is continuing to rise. I obtained this information through a FOIA request from the FMCSA, in efforts to push for safer trucking standards and laws. All of the listed Michigan truck companies have conditional or unsatisfactory safety ratings. A conditional rating means the truck company’s records indicate the truck was out of compliance with one or more safety requirements. An unsatisfactory rating means records show substantial noncompliance with safety requirements. Here are some staggering recent truck accident statistics: In 2007, there were 123 Michigan fatalities involving truck accidents. And nationwide, there were 4,808 fatalities in crashes involving trucks, according to the Fatality Analysis Reporting System and the Motor Carrier Management Information System. In my position on the executive board of governors representing Michigan for the Association of Plaintiff Interstate Truck Lawyers of America and as past president of the American Association for Justice Truck Litigation Group, I am working hard to rally for better truck safety laws, both in Michigan and around the country. In 2008, I was named a Michigan Lawyers Weekly Leader in the Law for efforts to increase truck safety. Sometimes, without more effective regulatory enforcement, lawyers are the last ones who can push for more safety: It’s the truck accident attorneys who must bring lawsuits to obtain justice for people whose lives have been destroyed by truck crashes, because it’s only the threat of litigation that will force some trucking companies to do the right thing. There are more than 1,000 trucking companies in Michigan without satisfactory safety ratings, and this is a preventable safety danger that the lawyers in my firm are trying to change every day. If you have any additional questions or wish to speak to a truck accident attorney directly about your circumstances, please call Michigan Auto Law for a free consultation at (800) 777-0028. There is absolutely no fee or obligation. – Steven Gursten is recognized as one of the nation’s top attorneys handling serious truck accident injury cases. He received the highest reported settlement in the entire state of Michigan for 2008. It was for a truck accident case. Michigan Auto Law exclusively handles car accident, truck accident and motorcycle accident cases throughout the entire state of Michigan. We are the largest law firm in the state litigating truck accidents, with offices in Farmington Hills, Detroit, Ann Arbor, Grand Rapids and Sterling Heights. For more information, please read our law firm quick facts.